Yeah, I'm 21 and use a walking stick. So what? 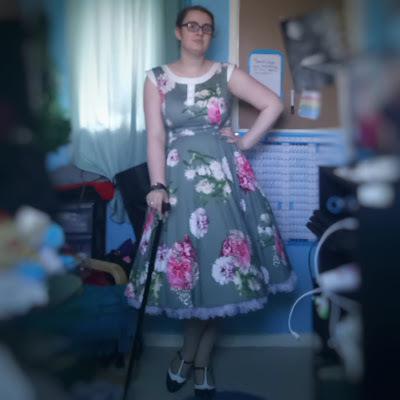 When you think of the usual person that uses a walking stick on a daily bases, I don't think that a 21-year-old university student who dresses in vintage style clothing is the first image that comes to mind. But it doesn't have to be, because I have in fact put that image just below for you. You see, I'm currently in the process of being diagnosed with fibromyalgia (in fact as I write this, I'm just over a week away from going to a rheumatology appointment to have some tests done to hopefully get a definitive diagnosis so I finally know what's going on) and my god do I have a lot of pain. 2018: somehow the best and the worst year of my life. But Abbie, how can something be both the best and the worst? Well, let's just say that 2018 wasn't exactly a quiet year in my life. please believe me when I tell you I'm ill. Looking at me from the outside I look like a relatively healthy 20-year-old woman. I don't look particularly overweight, I'm taller than the average woman but nothing too notable. But what I need you to understand, world, is that what you see is a one-second snapshot of my life. What you don't see is the confusion, the anxiety, the lack of motivation, the lack of emotion and the stress in my brain. You don't see just how many thoughts are going through my head at any one time. You don't see me crying, holding myself and sometimes unable to make a single noise as I try to understand what is going on around me while whatever is around me is making no effort to try and understand me. So over a year ago, I did a post all about my hair care routine and explained how having good hair seemed to help me with my depression by lifting my spirits. Well since then I've done a heck of a lot of research into the best ways to care for curly hair as well as trying a few different techniques. Now along the way, there was lots of frizz, lots of knots but in the end, lots of good results. So I thought I'd share this new routine with all my curly haired friends out there and those who are intrigued by curly hair, which to be honest seems to be everyone in my life who doesn't have it. I mean, I even have complete strangers sometimes come to look and even try to touch my hair. 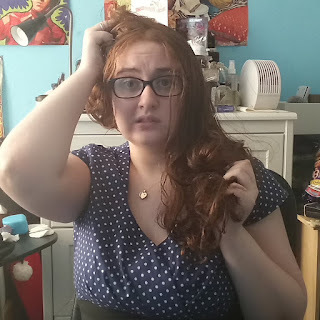 No, not weird at all, go ahead random person I don't know, attempt to run your hand through my impossibly thick hair while knotting it up in the process. Now, just a couple of things before I start with the routine itself. Dear Body, why are you working against me? Do you ever feel like something or someone is working against you? Like it/they don't want you to do well or succeed in life? And that it/they will do anything to get in your way? Well, I feel like that right now. And this thing that's getting in my way? My own body. It started when I was diagnosed as asthmatic which affects me a lot with physical exercise e.g. walking around and extream weather such as very hot and very cold affect my breathing so I have to use my inhaler but I've had it for so long I'm used to it. Then October 2017 happened and I developed costochondritis which I still have to this day. Most cases sort themselves out in less than a year or at least improved. My case has gotten worse over the past near year and my day-to-day life is affected. All my life I thought that I was being healthy, making the right choices for my body and my life. And for a while they did seems like the right choices. Although I didn't realise it, I was lucky that I had very few medical problems, my "puppy fat" from my younger years just fell off without me trying and I had clear skin. But over the past couple of years, my luck has been slowly running out and know it looks like I'm now actually going to have to work towards getting back what was once my "normal" body. Now don't get me wrong, I'm fairly happy with how my body looks now but the extra weight has decided to all just collect around my stomach which could really cause problems for my health in the future. So a large part of my anxiety is being surprised by unpleasant situations and that if something goes wrong there is nothing I can do about it. And when I say emergency I'm not talking about "oh my, someone needs first aid for a broken bone" emergency (however I am looking into doing a first aid course, you know, just in case) but more of a "oh my, my period started unexpectedly" which unfortunately happens far too often for me (ladies, I know some of you can understand me) or "I suddenly have a headache and need some painkillers to get through the rest of the day" which tend to pop up in my life more often then I would like. 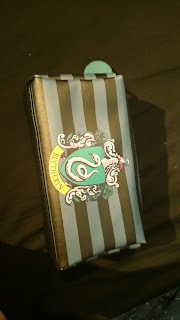 After being surprised and made anxious one too many times, I decided that enough was enough and that I needed to always have items with me to make sure that no incontinent situation would ever get the best of me again! 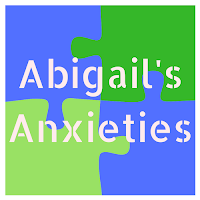 The things no one tells you about depression and anxiety The things you don't get told about depression and anxiety, written from the perspective of someone with both. So as many of you reading this will already know, I have been suffering from mental health problems for most of my life, but I myself was only diagnosed in February 2015. Everything before that was my parent's mental health problems influencing my life. Both of my parents have got mental health problems, which my mum having depression and anxiety (the exact same as me) and my dad having both of them as well but many more problems along with them. He hasn't been in work for nearly 4 years due to a complete mental breakdown at his last job (something which we still, as a family, find hard to talk about). Much like 33.1% of those with mental health problems*. Since then, he has been a mere shell of a man that he used to be. I didn't think I would be starting off my blog with the ugly side of mental health, but sometimes you have to start with the bad in order to appreciate the good later on. To cut a long story short, I have a PS2 (still a great console in my opinion) and I put it into my bedroom yesterday so that I can use it during the summer holidays. It turns out I had forgotten about the amount of noise/vibrations it makes from the disc (that's what you get for playing just PS4 for the past 2 years). Well, my dad was sitting downstairs and the vibrations were travelling through my desk and through the floor to the living room and the noise was apparently such a shock to him it caused him to have a small amount of panic as he couldn't work out what was happening.